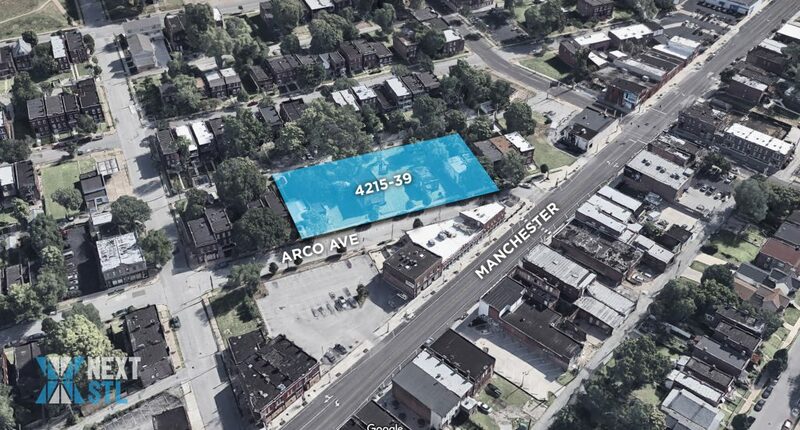 Restoration St. Louis is planning a new 95-unit residential development on the 4200 block of Arco Ave, overlooking Manchester in The Grove. 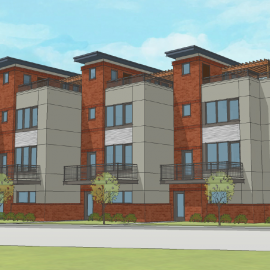 The project named Arbor on Arco will include market-rate apartments ranging from studios to three bedroom units. 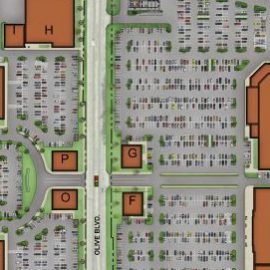 Parking for the building will be a half-sunken 77-space parking garage under the building accessible from the alley with an additional 24 spaces along the alley in the rear. 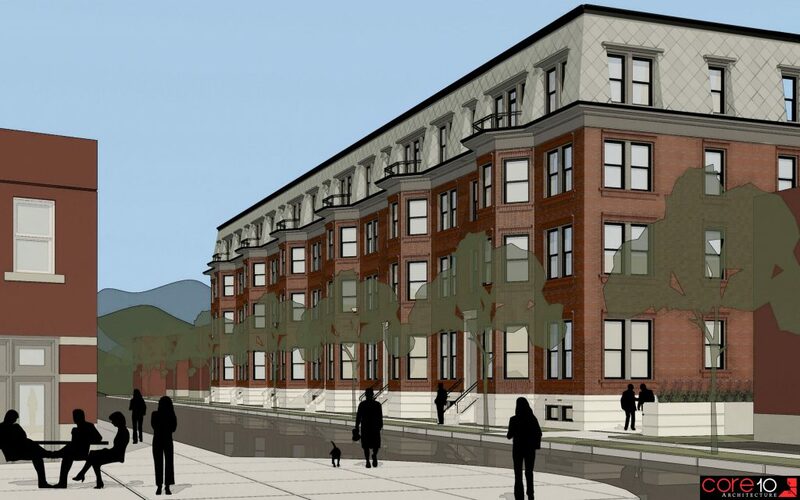 The 4-story structure, although considerably larger in scale than the existing buildings on the block, will feature a traditional brick front-facing facade with a mansard roof and historic proportions. 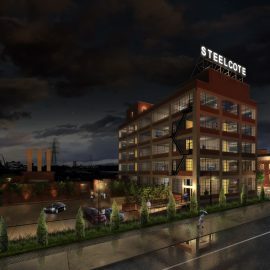 The remaining three facades will be a modern design using a combination of glass and steel. The interiors, according to the developer will be modern with a focus on technology. 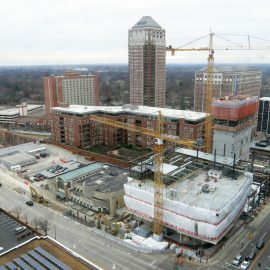 The total development cost is expected to be $18 million. The developer is requesting either 100% tax abatement for eight years or 80% tax abatement for ten years. A contractor has not yet been selected for the project. 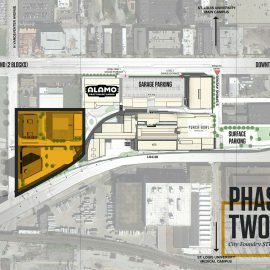 Six existing one and two-story structures will be demolished to make way for the project. 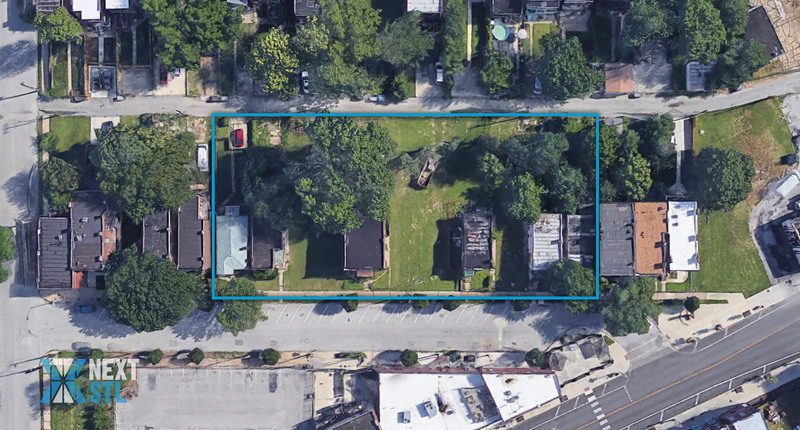 The developer has already acquired 10 of the 11 parcels required for the project and is seeking support from Park Central Development and Alderman Joe Roddy to purchase the last remaining parcel at 4233 Arco from LRA. Updated 3/8 to include estimated project costs and tax abatement requested by the developer.